SEC 107: What Is Atheism? This one-month, four-module course introduces the worldview of atheism by explaining its core definitions and stances, examining what it is good for, and illustrating why it is a useful position to take against religious faith in general and supernaturalism is particular. · The correct definitions of who is an "atheist" and what is the stance of "atheism"
Readings: Students will purchase their own copies of these two books: John Loftus, Why I Became an Atheist: A Former Preacher Rejects Christianity (2008) and John Shook, The God Debates: A 21st Century Guide (2010). Additional lectures will be available online at no cost to students. John Shook, PhD, is director of education and senior research fellow at the Center for Inquiry, and is also visiting assistant professor of science education at the University at Buffalo, teaching for its Science and the Public online program. 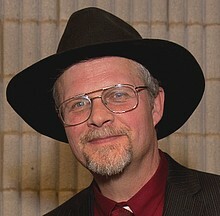 From 2000 to 2006 he was professor of philosophy at Oklahoma State University. Shook publishes on philosophical topics regarding science, the mind, humanist ethics, democracy, secularism, and religion, and has debated the existence of God with leading theologians, including William Lane Craig. His most recent book is The God Debates. John Loftus, ThM, MDiv, is a former Christian minister and apologist with MA, MDiv, and ThM degrees in philosophy, theology, and the philosophy of religion, respectively, from Lincoln Christian Seminary and Trinity Evangelical Divinity School. While in school, Loftus was mentored by both Dr. James D. Strauss and Dr. William Lane Craig. Loftus also studied in a PhD program at Marquette University for a year and a half in the area of theology and atheics, and is the founder of the popular blog Debunking Christianity. He is also author of Why I Became an Atheist: A Former Preacher Rejects Christianity and editor of The Christian Delusion: Why Faith Fails, both of which were published by Prometheus Books. He is also editor of the forthcoming The End of Christianity, due out later this year from Prometheus books. CFI 100-level courses are taught at an intellectual level equivalent to an introductory college course. This course is for adult enrichment and conversation with leading secular thinkers. We only expect students to participate in the online class discussion at their own chosen pace. There are no other writing requirements, no tests, and no grading. These classes are entirely online — everything for the course except the book is provided on a CFI website. You will read the course lectures, follow links to other webpages, ask your questions, and participate in class discussion with the instructors and other students on our website. There is no specific time that you must be online. There is no "live" part to these courses, and you cannot miss anything even if you can only get online at 6am or 11pm — you can log in and participate anytime, day or night, 24/7. A certificate of course completion is available to students who do participate online (as opposed to only lurking and reading, which is also an unobjectionable option for some students). Completion of eight courses at the Expertise 200-level is rewarded with the Institute's Certificate of Expertise. Ready to sign up? Register online here. or phone (716) 636-4869 ext. 408.